Paul Whitten was born in 1909 in North Easton, Massachusetts. He had a long career as a teacher and school principal in both Massachusetts and California before a successful and unexpected retirement career as a basket maker. Whitten served in the Navy. Following World War II, he moved to Nantucket in 1945 to take a post as the principal of the Cyrus Peirce School. He fell in love with and married Helene Coffin, a teacher at the school. Helene and Paul were married for over 50 years. Whitten left Nantucket after three years to earn his master’s degree in education. From there, he was principal of a school in North Attleboro, MA for 14 years. Paul and Helene maintained their ties to Nantucket, returning to spend summers on the island until they returned permanently when Paul retired from teaching in 1965. Paul’s many hobbies kept him busy throughout retirement. An avid photographer and videographer, Whitten made films that showcased the beauty of his surroundings. He captured wildflower picking and snowstorms on Nantucket as well as scenes of California. Whitten shared his films and slide lectures with many on the island. He also wrote children’s books so younger visitors could learn about the island. 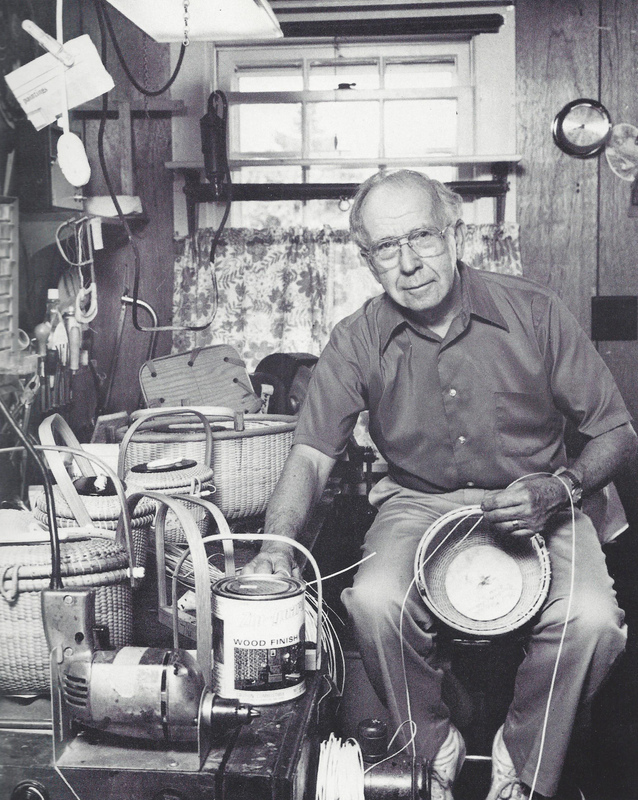 Whitten loved Nantucket history and had a special appreciation for the island’s craftspeople. Following a slide lecture about Nantucket’s craftspeople, Paul was approached by noted Nantucket basket maker José Reyes. Reyes offered to show Whitten how lightship baskets were made in appreciation for the scholar’s research. Whitten took to lightship basket making quickly and would make baskets for 22 years. Whitten’s relationship with Reyes led to the publication of a pamphlet The Friendship Baskets and Their Maker about Reyes’ life in the Philippines and Nantucket. Whitten gained national attention for his basket making when he was contacted by the Renwick Gallery, part of the Smithsonian Institution, in 1974. He was asked to submit his work to be part of an exhibition called Craft Multiples, which represented the best of American production crafts—objects made in at least 10 of the same design. Out of 1,000 finalists, Whitten’s work was selected as one of 133 artists whose work was displayed in the Renwick Gallery and on a touring exhibit that visited towns across America. After the exhibit, the Smithsonian Institution purchased Whitten’s basket to be part of their permanent collection. Upon retiring from basket making, Whitten published a handsome bound book Nantucket Baskets in 1988. He was 80 years old and noted that not many his age would begin writing a book. In addition to his work as a basket maker, Whitten’s writings have helped preserve the history of Nantucket lightship baskets.